Enjoy our choice of luxury Body Scrub Treatments from the award-winning organic Body Care range from HARNN Thailand, carefully developed using the finest organic active ingredients. Sea salts, sugar crystals and aromatic botanical oils help gently exfoliate, moisturize and improve skin condition. 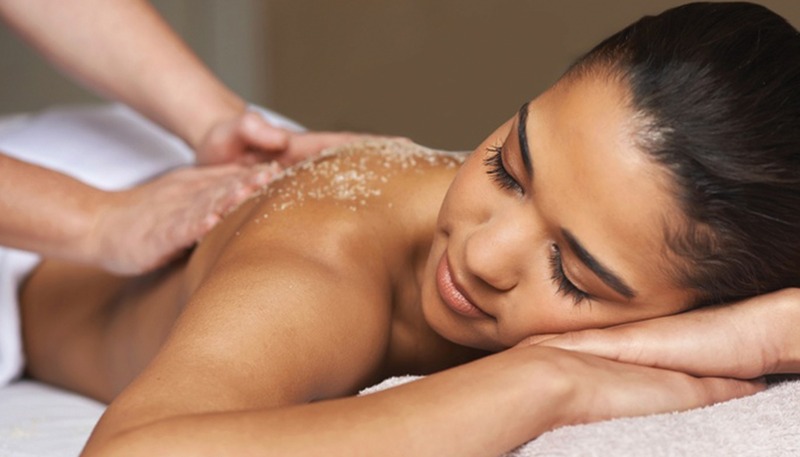 Get beach ready with our 100% natural organic back treatment which includes a full back cleanse, clay exfoliation, hydrating botanical masque and an invigorating back massage. The perfect treatment for all seasons for flawless beautiful skin. A popular treatment therapy that exfoliates and hydrates your skin, lifting dullness or dry areas. Unveil lustrous, smooth skin with a personalised organic blend of pure natural sea salts with hydrating nourishing botanical oils. Choose from our range of purifying body scrubs to promote natural radiance (Lemongrass and Lavender or Siamese Jasmine or Tropical Wood).